1. Have a Plan - If there is a fire in the house, where should everyone meet, once outside. Pick a certain place, whether a tree, neighbors driveway or far away mailbox that would be far enough if the house is engulfed with flames. There should be a plan as to where and how to get outside. Which doors are the quickest? Are you able to escape your house through windows. Practice different scenarios with your family. What if a certain hallway is blocked off, what should be done? 2. Stop, Drop and Roll - There has been a lot of things that have changed in schools and how we teach our children. One thing, though, that has always stayed the same is "Stop, Drop and Roll." It's simple and very easy to teach children. It could save their lives, so make sure to practice this every now and again with them. 3. 911 - Children these days know how to use phones at a very young age. Teach them about 911 and to when to call. 4. Go to the Fire Station - Fire stations not only have school field trips, but would welcome any family that wanting to come in and get a tour. 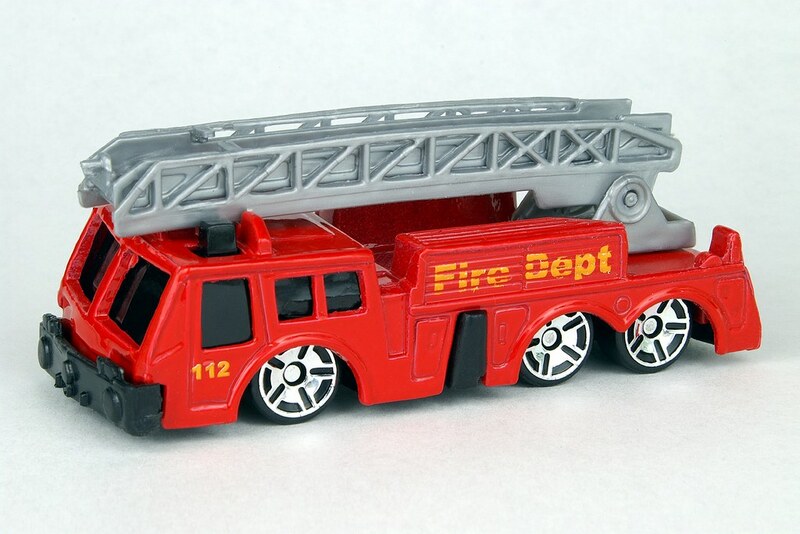 Children, especially the younger ones, are most likely going to be afraid of firefighters, and even their trucks. I know most kids love pointing out those big red trucks on the street, but up close, with the siren so loud, it can be very intimidating. Also, the suits that the Firemen wear are big and scary. To most children, they are going to look like big monsters coming into the house. The last thing you want if your house is on fire, is for you child to be afraid of the "monster" coming in the house trying to grab him. Make sure your child has seen a fireman all suited up, and enforce that they are there to help. This is obviously going to take some time, but if you keep talking about it, the children will hopefully remember that they are friends to us all. 5. Hot doors - The first thing a child may do if they hear the smoke alarm going off is run out of their room trying to find you. They could seriously burn their hands if they do this. Teach them how to look under the door to see if smoke is coming through, and then gently touch the door knob to make sure it is not hot first. These are things to go over as frequently as possible. Monthly would be great, but you know your children. Just make sure that everyone in your house is fully aware of what to do in case of a fire. Unfortunately, this fire safety week has given Ashley nightmares lately. Hopefully with talking about it, her fears will subside. The last thing you want is for your child to "freak out" in an emergency. Teach them how to be calm, and they will be able to get out safely.